A thrilling game of cat and mouse, The Price is a drama which grasps political ideologies, romantic discord and the pursuit of happiness close to its chest. 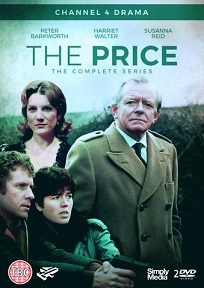 Unrelenting in its analysis of relationships and the seismic impact of wealth upon British society, 1985's The Price radiates with a vitality and thrust that many a mini-series has failed to maintain. And, as luck would have it, this gripping narrative has finally received a commercial release on DVD through Simply Media. 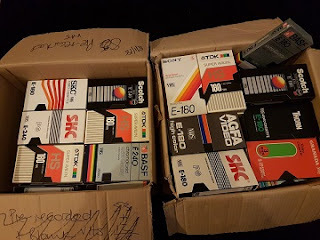 I haven't been digging through too many tapes over the last few months, but I've still managed to work my way through several hundred metres worth of magnetic tape. And, with it being such a harmless pursuit, who would possibly want to break a butterfly on a wheel? So, that's why I've managed to gather together a few curiosities for you to gaze upon and get terribly nostalgic over. Ever since The Beatles first burst into the public's consciousness in 1962, there has been an enduring interest in John, Paul, George and Ringo thanks to the the manner in which they redefined modern culture and conveyed a sense of togetherness to millions. John Lennon, as anyone who's ever listened to a note of music knows, departed the stage far earlier than anyone would wish, but his legacy lives on as the finest encore imaginable. 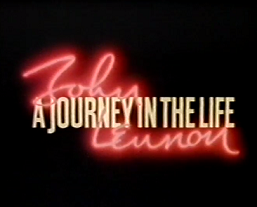 John Lennon: A Journey in the Life may not add anything new to Lennon's legend, but it maintains the absorbing appeal of the man and is a must watch for any fan.